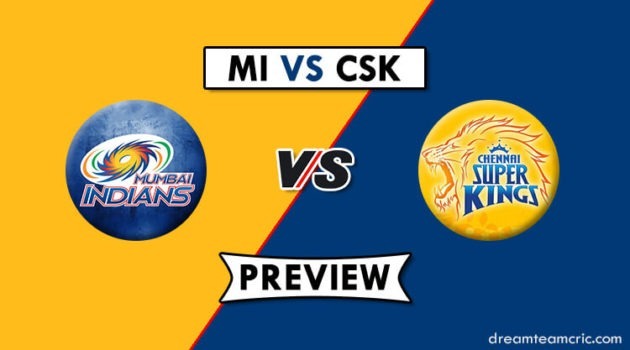 Welcome to today’s CSK vs DC dream11 small league prediction and this will be the 5th match of this 12th season of Indian Premier League 2019 which is going to be played between Delhi Capitals and Chennai Super Kings at Feroz Shah Kotla stadium in Delhi. Today we have a team that has qualified for the playoff once whereas on the other end it is CSK the defending champions of IPL. With a cracking first game for both Delhi Capitals and Chennai Super Kings, now it’s time for these two teams for an encounter. In the 5th match of Indan Premier League, the host Delhi Capitals will take on Chennai Super Kings in Delhi. It already looks out to be a cracking encounter between these two big giants. Delhi showed in the first game that the weaknesses that they had in their last seasons have been resolved and now they might not rest below IPL trophy, whereas CSK, on the other hand, have nothing to prove, thrice they have won the IPL trophy and this year also they look some real contenders of IPL in the presence of MS Dhoni who is in great form. In the first match, Delhi posted a mammoth total of 2013 runs just because of Rishabh Pants blistering knock who smashed away every Mumbai Indians bowler in every direction of the ground. After that, the bowlers finished the game for Delhi Capitals with some crisp bowling skills where they didn’t provide a single moment during the match. CSK against RCB looked a bit of a one-sided game, where the spinners bowled out the whole team of Challengers at a low score of 70 runs. In last match spinner Harbhajan Singh, Imran Tahir and Ravinder Jadeja looked almost unplayable and took a total of 8 wickets which made this encounter against RCB an easy win. We all know that CSK looks like the fan favorites in this game, it will not be a big miracle that DC will thrash CSK today in the 5th encounter of the IPL. It will not be an easy outing for CSK or MS Dhoni tonight. 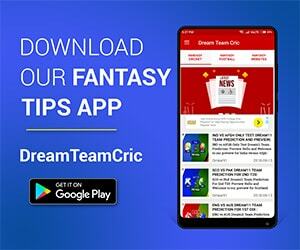 Let’s go out for CSK vs DC Dream11 small league match prediction. It will be a T20 match supporting pitch where batsmen will get a lot of help in the starting of the match but as the match continues it becomes a bit on a slower side because of which spinners start getting help towards the 2nd innings of the match. Delhi Capitals are expected to bring their star spinner Amit Mishra back in the squad in place of Axar Patel who went expensive in the first game against Mumbai Indians. DC can bring back their youngest top spinner Sandeep Lamichhane also in place of Trent Boult if the wicket looks in favor of spinners. Faf Du Plessis is likely to feature in this game, to give some more depth to the batting line up of CSK. Key Players – Rishabh Pant, Shreyas Iyer, Shikhar Dhawan, Colin Ingram, Kagiso Rabada.